in which everyone shows their image." Barely two weeks ago, I received a diagnosis from a doctor that is probably something many have heard but was never thought of as hearing it said to me. Yesterday, I talked about finishing Wayne Dyer's wonderful book, I Can See Clearly Now, and he talked about how he had been teaching certain things for many years and then having to experience it for himself and having a hard time with it, yet realizing, that he must come to terms with it in the way that he taught. It's an interesting thing about teachers and the fact that they may be sharing what others have done, overcome, occasions risen to, and so on, but they probably have never experienced it themselves. Once the opportunity comes, beyond the momentary shortness of breath, the teacher realizes that it's truly time to look in the mirror. So it is with me. I've talked, promoted, and otherwise praised the whole idea of praising God or the Universe for everything including those things that may seem at first to be negative. And, I've done much of that on a small scale. Now the scale is slightly more grand. I also praised so profoundly the book that opened my eyes to that idea of praising God for illnesses, infirmities, and more in Power In Praise by Merlin Carothers. It's also funny to me that my wife who died just a year ago gave that book to me some years back having not read it herself. Now I get the opportunity to live up to all that I have said, and promoted, and praised. Now I get to look in the mirror at myself and not talk about ideas belonging to others without having experienced them myself. I've taken a couple of weeks to let this settle into my mind and I have found a resolve to act in ways that I have spoken of and have been living for many years now. I get to see the power of praise in motion and finding a better feeling thought, and then another and another and another. I get to realize as Norman Cousins did in his quote, "It is reasonable to expect the doctor to recognize that science may not have all the answers to problems of health and healing." I will also keep up my Daily Inspirations because they are far more for me than anyone else who may read them. I am always sharing a little bit of me in all the ideas I share and come across, so it only makes sense. Gratitude is my comfort. I am continually thankful for so much in my life and am finding more to be grateful for as I become more thankful. How interesting all that is. I Looked In The Mirror And Saw The Person I Claimed To Be, And It Was Good. Spread Some Joy Today--Illness is just resistance to well being. Strange, but true. By letting go of that rope, we are carried away in the stream of well being. We need to know what to move toward. This is an idea that I've tried to impart to a lot of people in sales, and especially auto salespeople, and that is that they would be best served and have the best possible results if they would realize that they don't have a job working for a company, but that they are in business for themselves, but not by themselves. 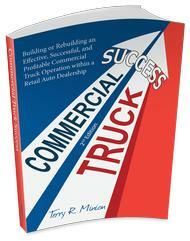 Of course, when you do it by yourself, you have capital outlays, and all kinds of logistics and a long list of expenses just to get to the point of beginning, but as a commissioned salesperson working for any company, even when treated as a business, there is very little of that in comparison. However, there would need to be some legitimate business expenses, yet they would be small. The advantage of being in business for ourselves is tied to the idea of freedom. We get to control our own destiny as it were. The bigger advantage to the salesperson is that the company puts up most of the capital, supplies, buildings and furnishings, phones, often even computers, and so much more. In reality, it is often a far better business to go into business as than if one were to go open their own business because of these things. The other thing is that there are people who support us in many different ways from accounting to filing to personal assistants. Not so much in business by ourselves, but with a team already in place. How cool is that? Need more? More can be arranged. When we start out with this attitude and design of our own sales career, convincing others to help us do even better is relatively easy from this perspective. When I first started in sales in 1972, I thought of this and treated it as if I were in business by investing in myself and my own growth, and by adding some small amounts of capital to give rewards to clients who referred people, and follow up systems. I didn't have much money, so I got a library card and read every book I could on sales, then borrowed others, many from my so-called boss. In 1975, when I became a sales manager, I still invested in my own learning path, and to an even greater degree, which has never stopped all these years. In fact, it has increased dramatically. If I were advising any salesperson starting out, it would be to treat it as if you are in business for yourself, but not by yourself. What a difference it will make. A Tall Building Requires A Deeper, Stronger Foundation. Spread Some Joy Today--Your gratitude will light the path for yourself and others at the same time even if all you are thinking about is yourself. I have always loved how graphically attitude can be seen in an airplane, even if all you could see were the instruments. 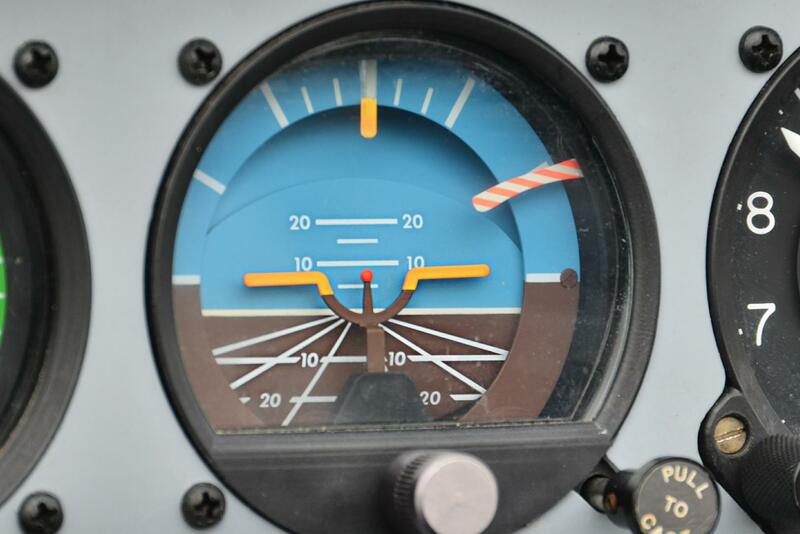 The picture above is called an artificial horizon and it graphically shows your airplane's attitude relative to the horizon. The yellow in the middle is the plane, the blue is the sky, the brown is the earth. Push the nose down, you see mostly earth, pull it up, mostly sky, turn right or left and it shows that visually. Level flight is just like the picture shows now. I just had to share this wonderful video and song with you. It is precious. I love the lyrics, and I've never heard of Lennon and Maisy, or the authors Edward Sharpe and the Magnetic Zeros. Having since listened to the original, the version by Lennon and Maisy is infinitely better. This video also went viral with over 5 million views and it's only been up less than a year. But, who cares so much about all of that. . . let's watch and listen. I guarantee it will brighten your day, even if you have seen it. Enjoy! Spread Some Joy Today--Help someone you know feel good. Then, try it on someone you don't know. one can be sure of is changing is oneself." The best thing is to accept the situation as it is without any more judgment about it. Then, get to work on doing what we do best and changing ourselves to be the best that we can be within the accepted situation where we find ourselves. If we are working for a company, then be the best employee you can be, and do all you can do within the parameters allowed. Leave the rest alone. That is not our work. Our work is ourselves alone. Though this is the first time I've seen this quote, I've always known it to be true. It is the old tug-o-war game again and when the rope is dropped, the game is over and the one who released it is freed. Though the other may continue to rant and rave and try to make trouble, there can be no trouble without our participation. When there is nothing to fight over, there is no fight. If someone wants something and you give it to them without a fight, what power do they have? None. When someone is bent on harassment, even though you let go, this is the time to allow people like Marshall B Rosenberg to help make sense with, but these are extreme cases in comparison with the daily issues we face. With most of our issues, it is just a matter of not participating in the fight, or struggle, or pity party. Releasing Resistance Is Our Own Freedom. Spread Some Joy Today--by feeling your way through your day. The better you feel, the better your day. I was talking briefly with someone today about forgiveness. Through much trial and error, I have learned to forgive and think that I have learned what forgiveness really is. So, here is what I learned that it is: our own thinking and judgment about past events that can never be changed, although we often want them to change, yet we also know that we can never change the past in the present, so the contrast of that creates the emotion of resentment, whereby we hold the other in judgment for their perceived wrongdoings to us. Most people think that to forgive means to reconcile our feelings about that person and accumulated events associated with them. It can't be done. Usually, those who say they've done this are blowing smoke and acting as if they have forgiven the other when that isn't possible either. First of all, it isn't about them. It is always about us. It is we who are thinking the thoughts that are causing us to not feel good. It is not them creating the thoughts. It is ourselves alone. No one can make us feel anything. Our own feelings are always a contrast between our real selves and our own ego. The best description of what it is like to forgive I've ever come up with is to pretend that we are having a tug-o-war with ourselves, equally matched, and impossible to win. This leaves only one solution: to let go of the rope completely, and after letting go of the rope, to find the love that is always there. The way to find the love is to create a list of appreciation. Through appreciation, you can become grateful for the whole event, and then it is forever changed. No one can do anything to us. Whenever we believe that our feelings are created from the outside, we will experience unhappiness. Our feelings are created from our own thoughts and never from the outside. Since no one can make us feel anything except ourselves, the other thing to grab hold of is that we are always in charge of how we feel and not anyone else regardless of the relationship. When we let go of the rope and find things to appreciate, we have nothing but love and when there is love for the other, there is nothing to forgive. When we withhold love from the other, we build a wall between us. Whatever you might be holding onto, feeling resentment about, feeling unhappy about, or even angry about is only ourselves in a tug-o-war with ourselves. By letting go of that rope, all of that goes away immediately. Today, Right Here, And Right Now Is The Best Time To Let Go And Turn It To Love Through Appreciation. Spread Some Joy Today--Make a list today of everything you appreciate. Feel your love grow as you make your list. Yesterday, I got to see a wonderful friend who lives far away for a few hours. We have both been associated with the car business for a lot of years, and I mentioned that when I first got into the business and saw what it was like and the reputation that it had, I made it my personal goal to do what I could to change that. Everything that I did to change it for the better went unnoticed by the car business. Though it may have been what some call a worthy cause, I found it to be an impossible dream. It was only after I dropped my clever ideals of changing the world and focused on changing myself that I decided that I could have what I originally wanted, except on a much smaller scale. I could change me and affect those near me, and that is what I did the best job I could at, and feel in looking back over 40 years as having achieved success in this. Now, I don't try to change anyone. That isn't my job. My job is to change me when that is needed. I can succeed at that. This doesn't mean that I don't have an influence on others. I do. I have. I will. That influence comes from my own changes and my own growth. I teach what I know and what I want to learn. The rest is up to them. Regardless Of The Size Of The Audience, Our Real Power Is Leading By Example. Spread Some Joy Today--by letting your heart lead your brain. is at peace with others." from the movie, Jimmy P.
Lately, I am finding inspired messages that jump out at me when I hear them or see them, and many have come from movies that I have seen in the last few days. They've given me enough for many inspirational messages. The one above was spoken softly in the movie, but he may have well been screaming it considering how it immediately got my attention. I thought, 'Wow! That is so powerful, simple and so true. Think about it. Conflict with others is an indication of conflict within ourselves. Anger with others is an indication of anger within and of ourselves. In fact, it is our own thinking that creates these emotions, to begin with, not stimuli from somewhere else. That means that when we are at peace with ourselves, happy with ourselves, respecting and loving ourselves, it is not really possible to be otherwise to others. It All Begins And Ends With Ourselves. Spread Some Joy Today--with joy in your heart, it cannot be helped. for me to be on this earth!" Here I am today nearing my 65th birthday and I am more inspired than I think I have ever been in my entire life. How can that be? It isn't what I thought I was taught about getting older. In fact, it is the opposite. When I say inspired, I don't mean that I have a new goal to do something, or to achieve something. I am inspired in the sheer joy and gratitude I feel for virtually everything in and around me. A reader for a few years sent me a very kind note that had this line in it: "I want to thank you for the time you take and the thoughts and quotes you share that help everyone who read them be better people and enjoy life more. Your messages are clear: it is all about attitude, gratitude and choices (all of which are in our control.)" Since that is what I have learned that has led me to where I am now, that was as accurate an assessment as I could imagine. I get so grateful now for such common things, and I'm continually amazed at how I can find even more to be grateful for. For example, I put a short note on my facebook page about how grateful I am for the Internet. The things I have had access to that I never had before the Internet, and the millions of things that people share and I sample the tiniest bit of and still find crazy amounts of information, guidance, inspiration and the list goes on. The video I shared yesterday is a perfect example and then I went and watched more from the person I had only learned of yesterday in that first video, which by the way, was suggested to me by an email from a website I subscribe to that I found on someones facebook post a year or two ago. In addition to those things about the Internet, I make a living on the Internet and employ others in that as well. So, that's a big deal, but even if it weren't for that, I've learned how to cook certain things, fix things, learned not to try to fix things, seen very helpful product comparisons by actual users to help me buy a great video camera, learned how important audio is in the hundreds of videos we do for our clients, and I could easily go on for ten or fifteen pages or more of all the ways in which the Internet, Google, Facebook, LinkedIn, Twitter, and a hundred other services has given me great benefit, joy, inspiration, and help. As I am more grateful every day, and seeing no end to the depth of it, I find ever more things to be grateful for. This changes my attitude to be more positive every single hour of every day. It leads me to make joyous choices. If there were only one single thing that I would recommend to put into practice to change everything else in your life, it would be to begin a practice of thankfulness and gratitude for every situation, every circumstance, every relationship, every moment of your life. There Is Zero Doubt That It Has Changed Me Forever. Spread Some Joy Today--Exactly. You do that with your joy. Simple. is a need that is not being fulfilled." Yesterday I watched one of the most powerful videos I've ever seen. It is powerful to me because it speaks of how to find peace in the world, in our relationships, in our work environments and more. It is not the least bit typical. I would have to call it 'outside the box.' Below is the video for your own viewing. It has been around for a while, but it is timeless. Then, I'll leave you with a couple more great quotes from this wonderful man. "Every criticism, judgment, diagnosis, and expression of anger is the tragic expression of an unmet need." -- Marshall B Rosenberg "
Spread Some Joy Today--Celebrate what you want to see more of. I was thinking about self-esteem, and when I saw this quote from my long-time mentor, Wayne Dyer, it seemed so appropriate for that topic. For example, if we are judging someone else--and the word judging generally is construed as finding fault and then punishing by judgment rule--then what does that say about our self-esteem? I think that it says we have very little. Seth Godin recently wrote, "It's called self-esteem. What other people think of you is called "other-people esteem." That's a different thing altogether." He goes on to say, "If it's better to think well of yourself, then by all means, go ahead. No need to wait for us to do it for you. Without a doubt, uncaring people can tear you down and make this more difficult, but at some point, you can make a choice." I think that either way we make a choice. We either make a choice to like, appreciate, love ourselves for who and what we are, appreciating our path and decisions, or we make a choice to beat ourselves up, lament about all the wrongs we ever did, all the people who did things to us, of which we cannot possibly be held responsible, and so on. You can probably see that in other people very easily and which choices they are making. It always seems easier to see it in others, yet it is good to examine it personally too. I love that phrase, "other-people esteem." So often we may be looking for others to give us our esteem when that is clearly not their job. Other people can appreciate us, like us, love us, but what value would that really be if we didn't already have our own appreciation and love for ourselves? Here's A Better Question: What Is Right With Me? How Have I Provided Value And Benefit To Others? Spread Some Joy Today--Lighten up! Have some fun!